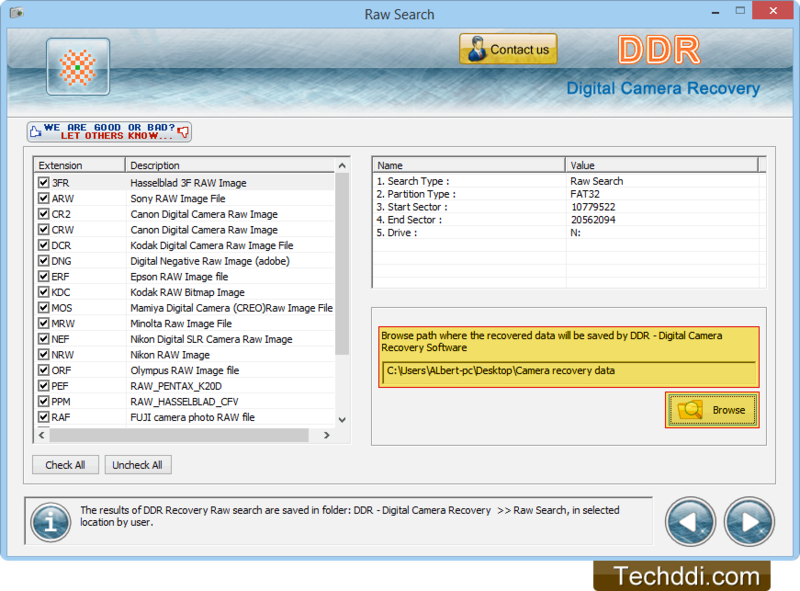 Software has five searching modes to restore deleted or lost data files, select any one mode according to your requirements. 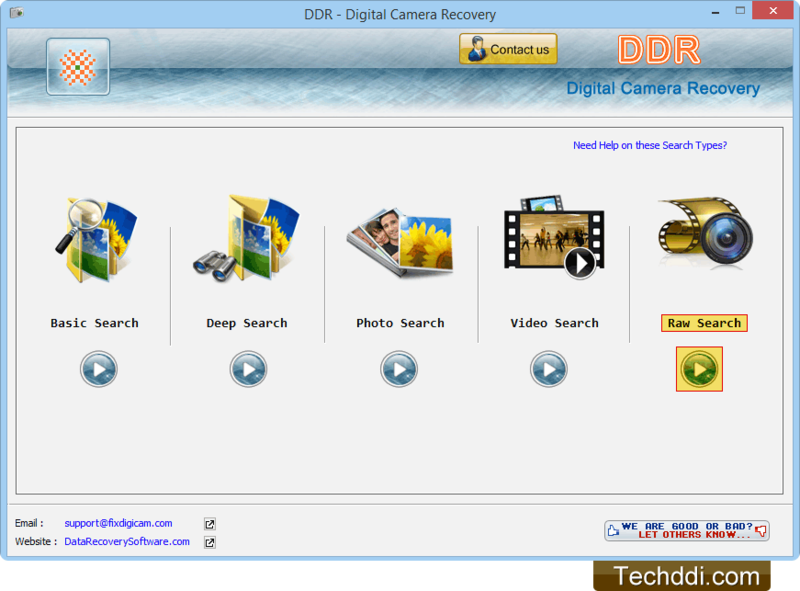 Select the drive from left panel from which you want to recover your lost data. Set sector range by moving sliders and proceed to next screen. Choose required file extension that you want to recover. 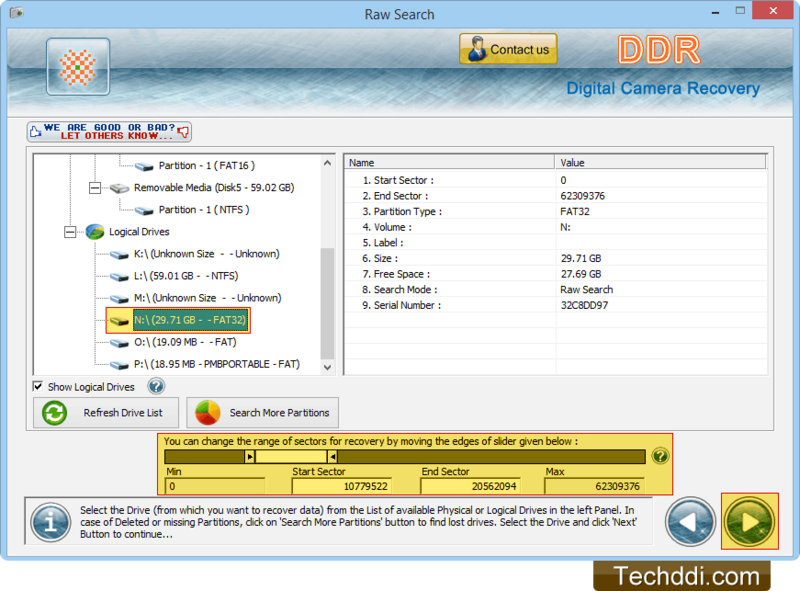 Browse the path for folder containing recovered data. 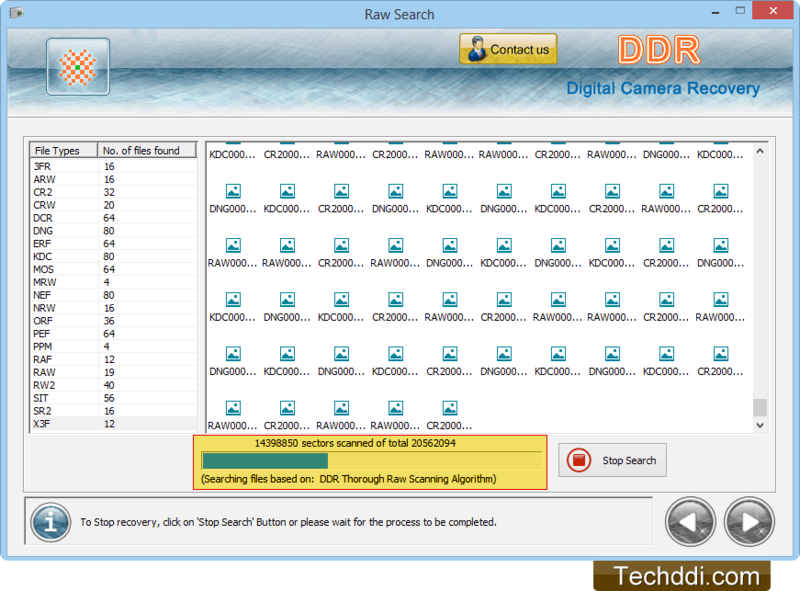 Screenshot displays current status of DDR Thorough Raw Scanning algorithm to search lost data.